Tomorrow night, June 19th, the City Council will hold a hearing about the update to the City’s Comprehensive Plan. This update includes the development of a project called the Ray Street Crossover. 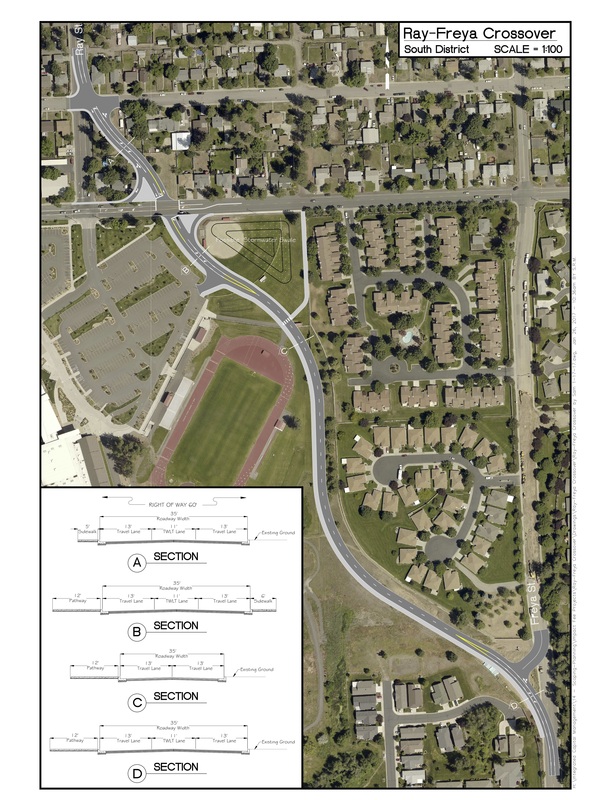 This is an auto-oriented traffic capacity project that will run traffic across the east side of Ferris High School’s campus to connect Ray and Freya and send traffic our towards the County. The SNC Land Use Committee have drafted these comments for submission to the City Council members ahead of tomorrow’s hearing. I encourage everyone to read them and take few minutes to send your comments in to our City Council as well. You can reach them at the following addresses: bstuckart@spokanecity.org, lkinnear@spokanecity.org, bbeggs@spokanecity.org, awaldref@spokanecity.org, cmumm@spokanecity.org, kstratton@spokanecity.org, mfagan@spokanecity.org. For those of you who can make it down in person, personal testimony at the hearing has a big impact Council members. The meeting is tomorrow night at 6pm at Council Chambers in City Hall. The deletion of this project from the Comp Plan update will go a long way to maintaining the vision set forth in our neighborhood connectivity plan where we make a our neighborhood a place that encourages people to use multiple modes of transportation to move around and does not promote the development of sprawl and other features (like high-speed auto routes) that will make our neighborhood less walkable, less safe, and less livable. P.S. – If you need something else to comment about, Spokane Rising has some thoughts about new policies in the Comp Plan update that undermine our City’s existing Complete Streets ordinance.